A Minecraft clone for the Wii U. My kids don't care about all this politics and nonsense with regards to minecraft. They just want to be able to play it. 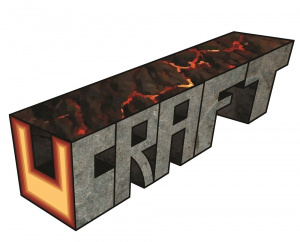 Believe it or not, my decision to buy a wiiU will come down to, does the wii have mincraft (ucraft) available. I will be making a decision this holiday season. @Cale With UCraft indefinitely delayed, you will be able to buy Cube Life: Island Survival in early June discounted to $6.99. Will still be keeping this on my radar, but Cube Life looks like it has a lot of potential. I would be interested in checking it out, but, my kids want Minecraft. @thatguysiqhts What this game offers is very refreshing. I just hope we see it happen. When. The heck. Will this. Come out. Seriously, Minecraft is coming, but that doesn't change the fact that this exists. Did it secretly stop development or something?